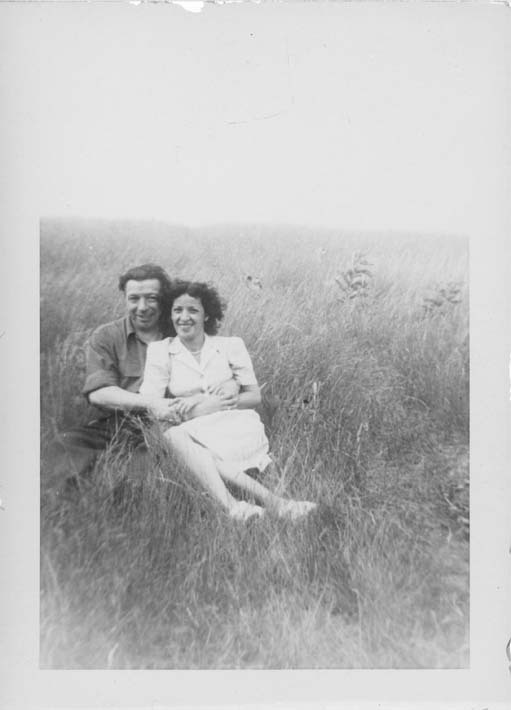 This is a black and white snapshot of Antoinette (Toni) Ciccarelli with her husband, Patrick Ciccarelli, sitting down in tall grass. His arms are embracing her and she is holding onto his arms. They are both looking into the camera smiling. They are positioned off centre to the left of the picture plane. The background is of a field with tall grass.